Friday you've never looked so good! Although I wish I was able to cruise with the top off and wear flip flops like the lucky gal above, you can find me in a cute pair of boots and boot socks sippin' Dunkin Donuts hot cocoa instead! What am I pumped about right now besides the fact that it's Friday? 1| Tonight Jon and I are heading to a Toby Mac/Colton Dixon/Brandon Heath/Mandisa/Chris August/Jamie Grace/Capital Kings concert. Rewind back 2 months ago when they started selling tickets and Jon set his alarm to wake up at 6am to make sure we got some. And it paid off. We have FRONT ROW SEATS! I'm so stinkin' excited! No worries I'll smother instagram with pictures! 2| Jon and I did it! We ate clean all week. Except for my celebratory house cleaning dinner last night. But that was the only cheat! And it was so worth it. I feel like I am finally off my sugar high and my blood sugar levels are normal again. And my clothes aren't trying to squeeze me out of them anymore. Here are a few of the yummy meals we ate. 3| My new sweater from Lilies and Fillies that I've repeatedly worn since I got it two days ago. Is that bad? Oh well, that's what happens when I get extremely comfortable and adorable clothing. I wear it over and over hoping I don't run into any of the same people. You should probably come visit this here blog next week because there will be a Lilies and Fillies giveaway and you don't want to miss it! 4| We're going to Charleston in t-minus 30 days and I'm FaaaaREAKING out! It's only one of my favorite places in the world where I desire to have a vacation home. For now I'll settle for small visits. Vacation, sun, seafood, drinks, sunsets, morning cups of coffee on the beach. Come to mamma! 5| Dunkin' Donuts hot cocoa. Have you had it? If you haven't I suggest you go put on some pants and get yourself one three. You will not be sorry. Last night I had a hankerin' for said hot cocoa and it took little to no convincing the hubs to run out and grab some with me. That's how good it is! 6| I'm sneaking in number six because this is too good not to share. Right now for a limited time Groupon is hosting a $10 giftcard for $5. I've done this plenty of times before and it always works. I love a good deal! Now go on and get your red cup all you peeps are obsessed with. 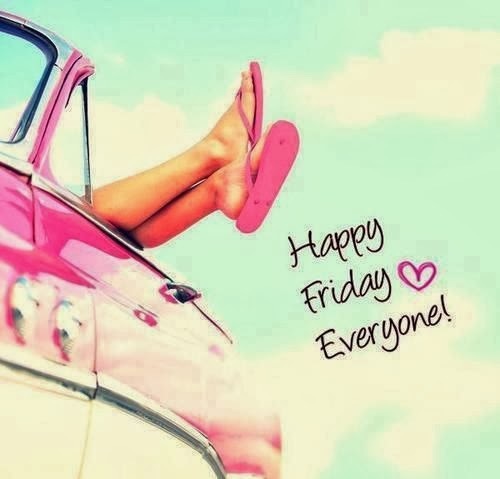 I hope your weekend is fabulous, kittens! 17 comments on "Concert, Cozy Sweaters and a Beach Countdown"
hey beauty! AHHHH HAVE SO MUCH FUN AT THE CONCERT! WOW i know it will be SO AMAZING! front row..?! EEEEE! and i'm totally guilty of outfit repeats when the outfit is comfy and cute. or just in general. my most famous repeat is church on sunday --> work on monday! ha! In my hankering for Hot Cocoa....I will be getting myself dressed and on my way! DD is down the street! I never even thought to check for hot cocoa there! Thanks for the advice! Happy weekend! Love your sweater & mug!! Def scored that Starbucks groupon yesterday ;) Ahhh, charleston!!! Jealous! Oh man have fun tonight!! That is going to be an awesome concert!! Found you on the link-up and I'm so glad!!! Your site is precious and I LOVE your sarcasm; I was a high school teacher before I became a stay at home mom and it literally was the only language that allowed me to survive my days! Thanks for sharing your 5! Looking forward to reading more! Front row seats, have a BLAST girlie! That is so exciting! I'm so jealous you're going to Charleston. It's one of my favorite cities. I've always wanted to see it at Christmas time! Happy Friday! I've never been to charleston but sounds like a place I need to go! I LOVE COLTON! I am so jealous of you & your sweater is perfect. Love your sweater, love your mug and love Charleston! We're going in May bc hubby has never been so im counting down! So jealous of the concert! I am a big Toby Mac fan. Do you like Beckah Shea, Royal Taylor, and Press Play? Those are some of my favorite christian groups. Love the sweater it looks so cozy! Have a great weekend! definitely post some clean eating recipes! the quinoa/pinto bean/chicken dish sounds pretty great. I am the same way when I get something new and comfy! I wear it out till I get sick of it. Just found your blog on the link up and can't wait to read more! well aren't you just a doll! showing some linkup love…new follower! I would love to see some clean eating recipes... and you looks so darn cute in that sweater!